Our goal is to make getting out on the water fun and easy for anyone. This is your chance to experience high performance racing yachts at your own pace. Bring your own food and beverage and sit back as our highly skilled crew do all the work. But don't be afraid to ask the captain to try your hand on the helm. 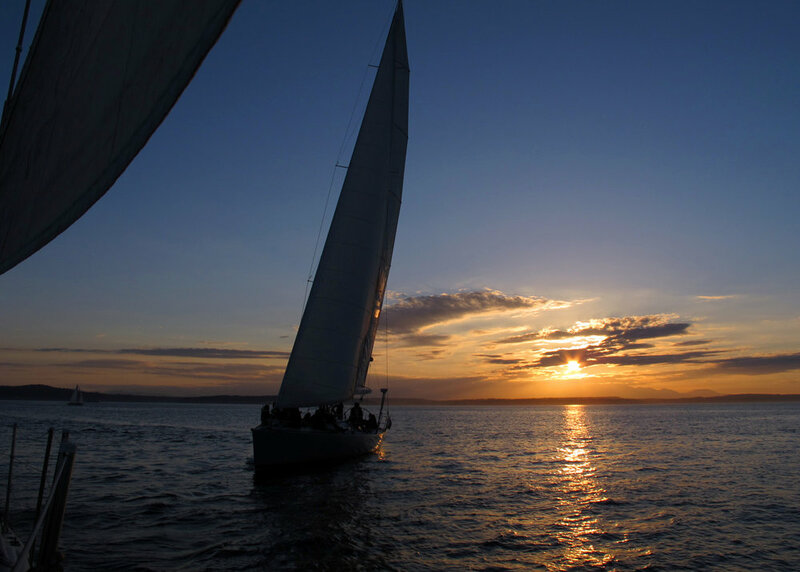 For the past 33 years Seattle has known us as their number one sailing excursion, and the fun isn't stopping anytime soon. From public sails throughout the day, to private charters having 'your own yacht', our boats are perfect for families and corporate events alike. Forget the hustle and bustle of the big city as we turn off the engine, raise the sails, and feel the wind in our hair. There is no better option for a boat ride in Seattle. We can't wait to see you on the water. Have any questions, concerns, or comments? Let us know! Keep in mind, parking downtown can be difficult to find at times. Please allow extra time if travelling by car. Sailing times may vary day to day. Make sure to check our reservations page for an up to date voyage schedule. The perfect quick getaway from the busy city. 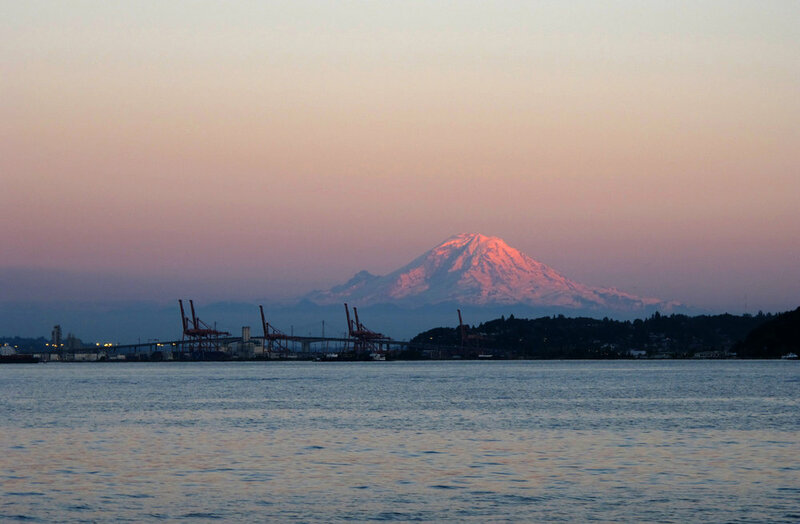 Put that tour map away and take in the breathtaking views of Puget Sound, Mount Rainier, the Seattle area. For those who are in Seattle for an Alaska Cruise, this the perfect way to see the skyline. A great escape from work for locals too (we won't tell your boss). Picture this: The warmth of a Seattle summer evening. Sharing your favorite bottle of wine with great friends or your significant other. The sails are hoisted and the sun dips right behind the Olympic Mountains. Does this sound perfect? Well, it is.